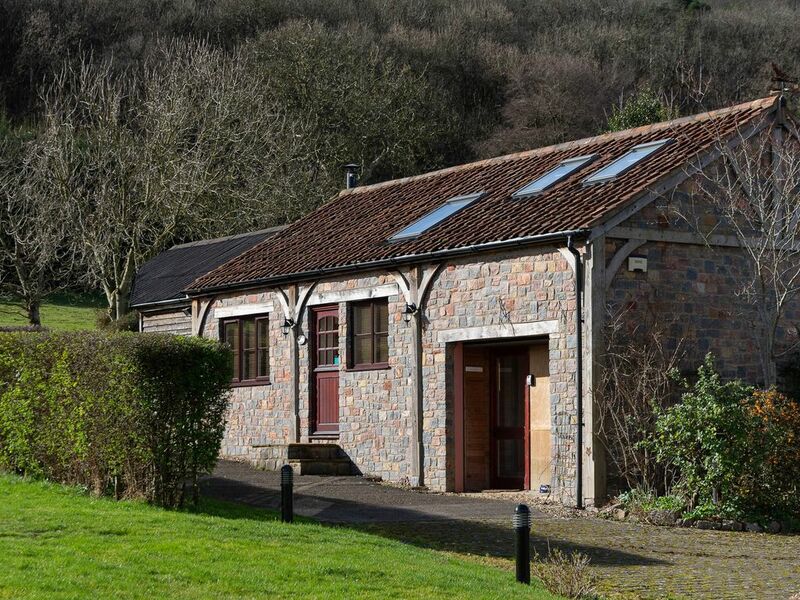 Secluded converted Barn nestled on the North slopes of the Mendips. Cosy self contained I bed Barn conversion with direct access to the Mendips. Anneth Lowen [Cornish for 'Happy Home'] is a converted self-contained barn within the 12 acre grounds of Over Langford Manor. Located in Upper Langford and set in the heart of the North Somerset countryside close to Churchill and Langford on the Northern slopes of the Mendip Hills. This region is designated as an Area of Outstanding Natural Beauty. (AONB) The bijou property has all modern conveniences including satellite tv and fibre optic broadband. It also enjoys the picturesque gardens of Over Langford Manor. Cheddar Gorge is 10 minutes away by car and other local attractions can be found in Bath, Bristol, Wells ( UK's smallest city) Glastonbury and Clark's village. I am a retired wine merchant having been in the trade for well over 35 years. Needless to say I am also a keen gardener and love the outdoors. You are in an area of outstanding natural beauty. You have your own privacy as Annethlowen is not too close to the Manor House. This converted Barn is warm and cosy with the benefits of a fast fibre optic broadband connection. We do allow pets and do not charge any extra for the privilege.You are almost equidistant between the historic cities of Bath Bristol and Wells. Cheddar gorge, its caves and beautiful views from the top is also nearby. Beautiful idyllic accessible countryside right from your front door. You can walk all day without crossing a road. There are also multiple cycle routes for those into mountain biking. This is also avery popular area for caving with multiple caves nearby. The walks here are simply heaven for dogs. The bathroom has just had a new shower fitted along with a new water heater. There is under floor heating timed to come on in the morning and at night. There is a heated towel rail. There is also a WC and a small hand basin. The overhead shower also has a hand held shower attachment. There is an extractor fan. Weston Super Mare is the nearest Beachfront town which is 8 miles away. We are in an area of outstanding natural beauty (AONB). There are walks directly from your front door onto the mendips which are looked after by both the Woodland Trust and the National Trust. We are close to the cities Of Bristol Bath and Wells. Nearby Villages include: Langford, Churchill, Congresbury, Wrington, Cheddar, Blagdon. Blagdon Lake. 5 miles away. Course and fly fishing available. Park Under the Beech trees on the gravel. white towels Bath towels, hand towels and flannels. Small wood burning stove. Wood available on request. Nearby Mendip Spring Golf Course- 2 miles away. Super barn conversion with all amenities in secure gated grounds with lots of pasture and woods for dog walking . A very pleasant and peaceful weekend stay !